Is The Sinner’s Prayer Effective? Stop a second to ponder 2 Corinthians 13:5. "Examine yourselves to see if your faith is really genuine. Test yourselves. If you cannot tell that Jesus Christ is among you (or in you), it means you have failed the test." Note that Paul is telling them/us to examine our present state and see if our present faith is genuine. He is not telling you to examine your past and see if you said the sinner's prayer. Doesn't it seem evident that if your salvation were dependent upon a one time profession of faith that Paul wouldn't make this statement? Doesn't this single verse convey an understanding that faith is a present requirement in salvation? The most fundamental, vital question that anyone can ask is what must I do to be saved?... the answer to which is perhaps the most crucial point of the whole New Testament. Yet there are no end of well meaning Christians who, in answer to that life and death question, will inform you that You have to ask Jesus into your heart. The burning question is whether this phrase accurately communicates the truth of Scripture. I strongly suspect that, if one were to ask the vast majority of Christians what one has to do to be saved, you would get a number of answers like "accept Jesus as your personal savior", "ask Jesus into your heart" etc. However, while the terminology may vary, the answers would almost all boil down to all you have to do is believe... all you have to do is have faith. In other words, at the very moment the sinner puts his, or her, faith in Jesus Christ and accepts Him as his/her savior, that person has entered into a covenant relationship with God, has received God's forgiveness of sins, and the gift of eternal life. While it is certainly a fact that the Bible teaches that faith is an essential ingredient, without which it is impossible to please God, it never ever teaches that faith is the only requirement for salvation. In fact the Scriptures point to a number of things by which a person is saved. Usually I start my letter to you talking about an Ambassador skill that enables you to be knowledgeable, winsome, and present wisdom effectively. Here is the twist. Over the years I've become increasingly concerned with one tactic of some well-intentioned ambassadors for Christ: leading a person in the "sinner's prayer." It can be meaningful, but it has a liability. It goes something like this: "Lord Jesus, I am a sinner. I believe You died for my sins so I could be forgiven. I receive You as my Lord and savior. Thank You for coming into my life. Amen." The prayer itself is fine. I prayed a version of it in 1973, initiating my own walk with Christ. I’ve used it since to assist others in expressing their faith for the first time. On occasion, though, I notice something alarming. When I ask if a particular person is a Christian, the response I hear is, "Well, they prayed the prayer." It’s as if the words were magic; if someone just recites them, they’re in. I fear we’ve inoculated a whole generation of people who got a partial injection of Christianity and are now resistant to the real thing. They prayed the sinner’s prayer, got their "fire insurance," and then disappeared, never to be seen again. When confronted with the Gospel anew they shrug, "Been there, done that. Now leave me alone. I have a life to live." Here’s the antidote: The goal of an ambassador should never be getting someone to pray a prayer, but rather to follow Jesus. When we emphasize deciding for Christ instead of living for Him, we often get spiritual miscarriages instead of spiritual births. Our sense of safety can’t come from simply saying a prayer. How, then, do we know if any person truly belongs to Christ? Our confidence comes from three sources. The first is entirely subjective. Christians have an ineffable awareness that they belong to God. This comes from the witness of the Holy Spirit to our inner man: "For you have not received a spirit of slavery leading to fear again, but you have received a spirit of adoption as sons by which we cry out, ‘Abba! Father!’ The Spirit Himself bears witness with our spirit that we are children of God" (Romans 8:15-16). John echoes the same thought when he writes, "By this we know that we abide in Him and He in us, because He has given us of His Spirit" (1 John 4:13). Some people put the greatest emphasis on this subjective element, but the Scripture emphasizes it the least. The reason is, I think, because it’s the most unreliable. Groups as theologically diverse as Evangelicals, Mormons, Jews, and New Agers lay claim to this confidence. This shows it’s possible to have tremendous inner tranquillity even when in extreme danger: They can’t all be correct. Conversely, even the sturdiest spiritual warrior experiences periods of dryness, emptiness, and doubt. Something more is necessary. The second source of confidence in our salvation is the objective promise of Scripture based on the merits of Jesus. The apostle John’s guarantee is characteristic, "These things I have written to you who believe in the name of the Son of God, in order that you may know that you have eternal life" (1 John 5:13). John 3:16 "For God so loved the world, that He gave His only begotten Son, that whoever believes in Him should not perish, but have eternal life. John 3:36 "He who believes in the Son has eternal life; but he who does not obey the Son shall not see life, but the wrath of God abides on him." John 6:40 "For this is the will of My Father, that everyone who beholds the Son and believes in Him, may have eternal life; and I Myself will raise him up on the last day." Romans 10:9 "If you confess with your mouth Jesus as Lord, and believe in your heart that God raised Him from the dead, you shall be saved." The third–and most demonstrative–evidence of salvation is a holy life of persevering adherence to the Gospel of truth. John says bluntly, "The one who says, ‘I have come to know Him,’ and does not keep His commandments, is a liar" (1 John 2:4). Paul warns Timothy, "If we endure, we shall also reign with Him. If we deny Him, He also will deny us" (2 Timothy 2:12). Peter tells us to "be all the more diligent to make certain about His calling and choosing you; for as long as you practice these things, you will never stumble" (2 Peter 1:10). The book of Hebrews is filled with warnings. "We have become partakers of Christ, if we hold fast the beginning of our assurance firm until the end" (3:14), and, "You have need of endurance, so that when you have done the will of God, you may receive what was promised" (10:36). This is why the teaching of James is so important. Paul’s instruction on justification by faith alone is so radical it can be mistaken for license, a charge he defends against in Romans 6:1-2. There’s no such confusion with James, though. To paraphrase James 2:26, "The human body without the breath of life is nothing but a corpse. The same is true for anyone who says he has faith, but doesn’t back it up with a changed life." Our confidence that we belong to Christ is based on faith in God’s promise evidenced by our perseverance. It is the engine that pulls the train. Our feelings are the caboose. The caboose is dispensable; the engine is not. What makes a person sure his salvation is in force? If all he can say is "I prayed the prayer," or "I really feel God is in my life," he may be in trouble. If his confidence isn’t based in the Gospel of truth, and if he’s not actively following Jesus, we can give little assurance. The most loving thing we can do for a person like that is given a sober warning. And the next time you lead someone to Christ, consider bypassing the sinner’s prayer. There’s no precedence for it in the Bible anyway. In the New Testament, baptism served the function of heralding one’s entry into the Body of Christ. Rather, enjoin the one who is spiritually hungry to satisfy his appetite day by day by following the Savior. Give him some guidelines on how to do that. Tell him about prayer, fellowship, and Bible study. 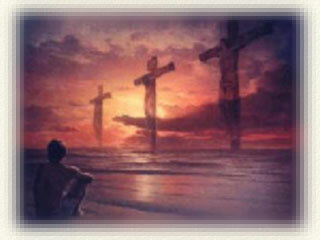 Instruct him in forgiveness, regeneration, and justification. Don’t let him forget, though, being born again is the beginning, not the end. The “Sinner’s Prayer” is not found anywhere among the cases of conversion in the book of Acts in the New Testament, nor is there a single instance of any sinner instructed to pray for their salvation. On the contrary sinners were admonished to ‘repent and be baptized’ (Acts 2:38). ‘Arise and be baptized’ (Acts 22:16). Also see Acts 8:13, 35-39,10:44-48. Acts 2:21 (…whoever calls on the name of the Lord shall be saved) is a synonymous with “Arise and be baptized” in Acts 22:16.